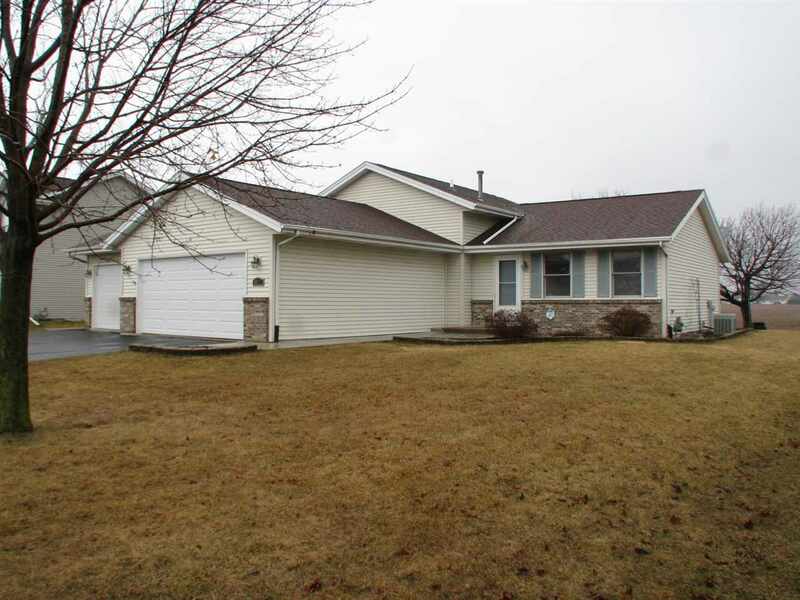 Spotless move-in ready 4 bed 2.5 bath tri-level home located in a gentle neighborhood in the desirable Prairie Hill/Hononegah School district. Large, flat backyard with substantial pea gravel play area or potential skating rink opens to a large agricultural field allowing for private recreation and viewing captivating sunsets from the deck or expansive new concrete patio, which also provides RV or boat storage and basketball area. Location is impeccable. Spacious, eat-in kitchen. Private master suite with master bathroom. 2 other bedrooms on the upper level share a full bathroom. 4th bedroom and 1/2 bath in lower level. Heated 3-car finished garage with new overhead doors, a doggy door, attic storage, freshly sealed driveway, and professional landscaping. Updated flooring & fixtures. Brick wood burning fireplace. Easy access to I90 and US251. Includes washer/dryer, oven/stove, refrigerator/freezer, & dishwasher.